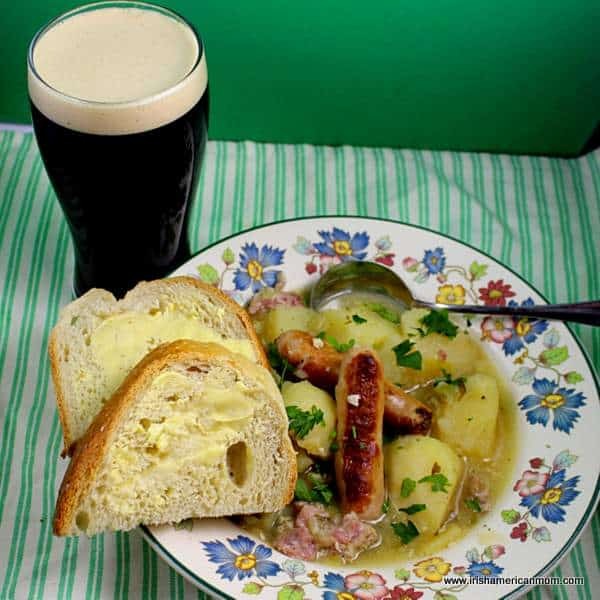 Dublin Coddle is a traditional Irish dish primarily made by true blue Dubliners. 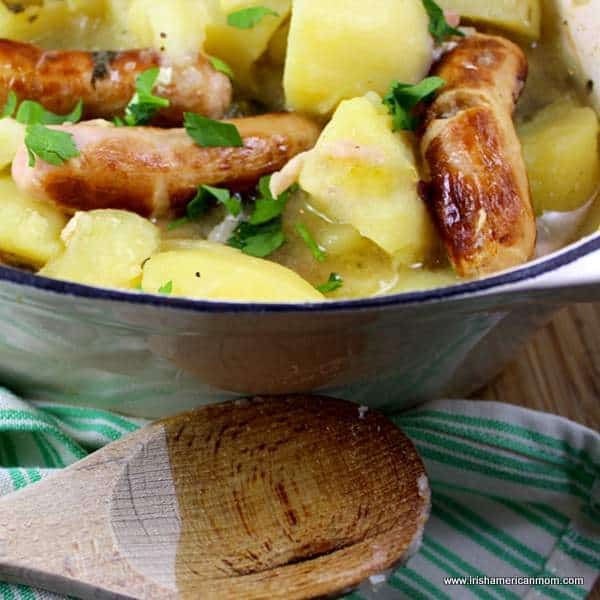 It’s a one-pot wonder that combines potatoes, sausages, bacon and onions. 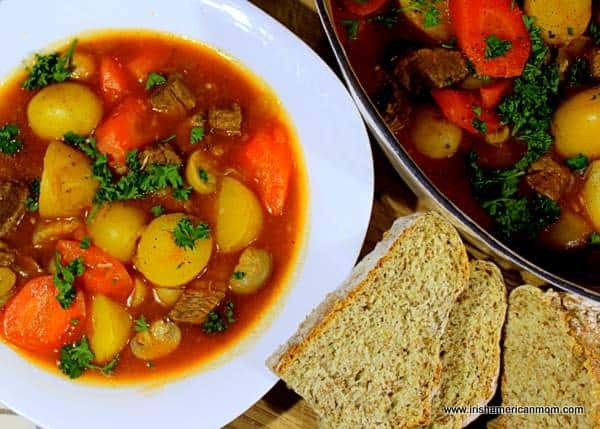 Cooked slowly in water or broth the result is a filling stew loved throughout Ireland’s capital city. 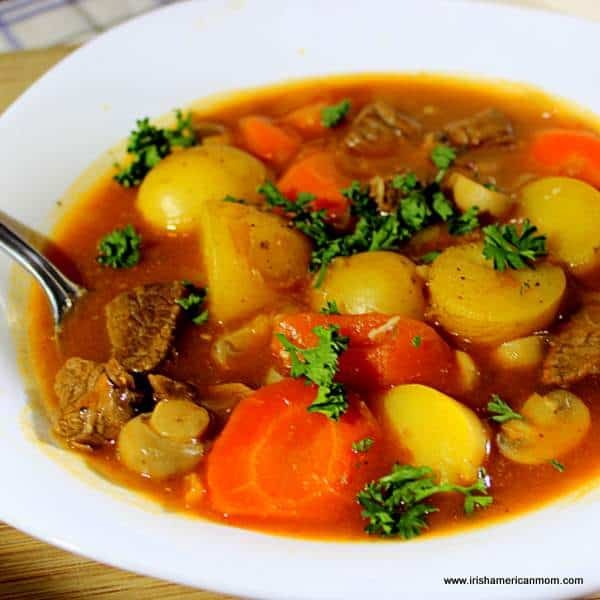 For real Dubs, coddle is a nostalgic dish. One that reminds them of childhood, and the tastes of home. But this isn’t just a dish from the past. It’s alive and well and continues to be made in Dublin homes to this very day. 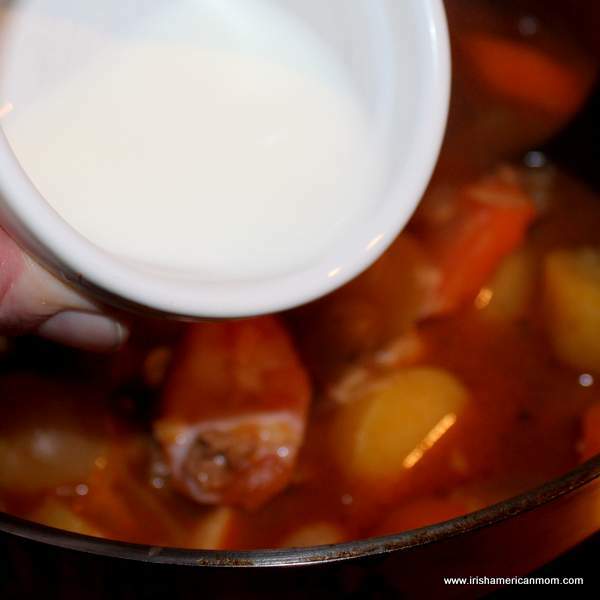 Confession time – I didn’t grow up eating coddle on a regular basis. 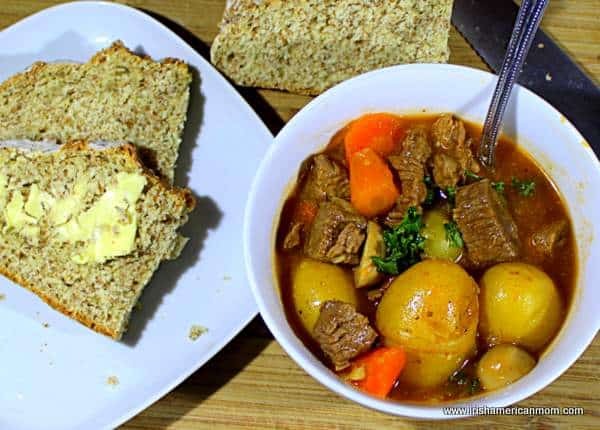 My mother was born in County Cork so coddle did not feature on our weekly dinner menus. Now don’t panic. That doesn’t mean I never enjoyed a good bowl of coddle as a child in Dublin. 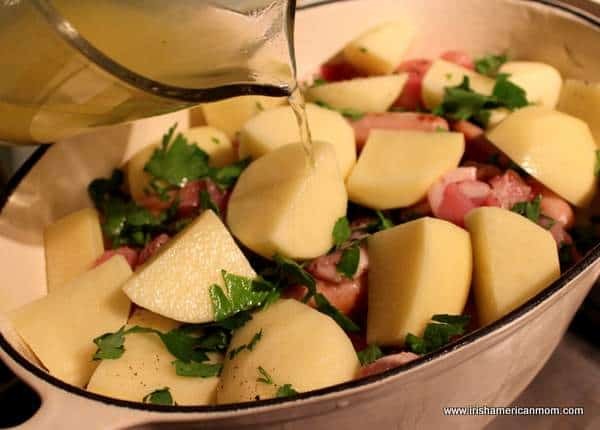 My best friend’s mam made a mean pot of coddle and I often had the pleasure of joining them for dinner on coddle nights. In fact, I had a habit of hanging around hoping for a bowl whenever I sniffed a pot of coddle simmering away on the cooker. 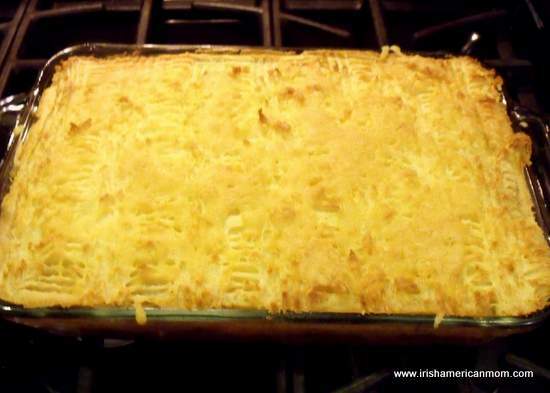 Made year round in Ireland, even in the summer months when temperatures rarely hit the 70’s, it’s perfect for St. Patrick’s Day or on cold, rainy evenings when living stateside. 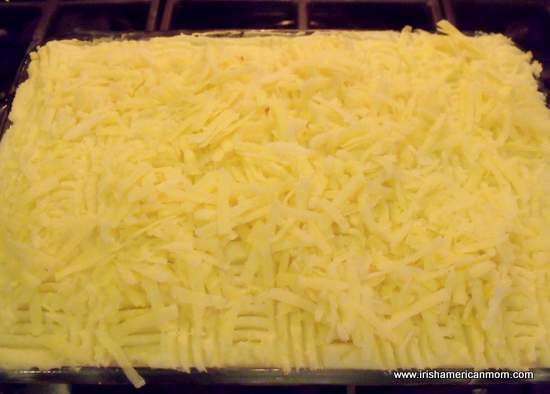 My mother’s aunt married a Dublin man and she quickly became a coddle expert. 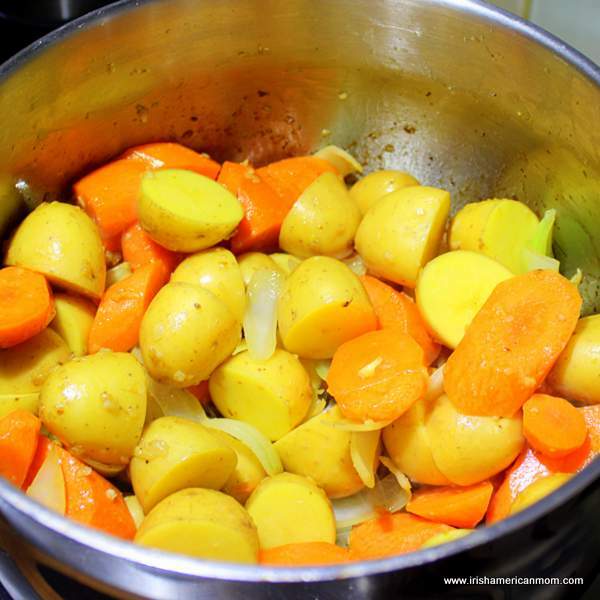 My mother married a fellow Corkonian, so my dad never requested coddle dinner. 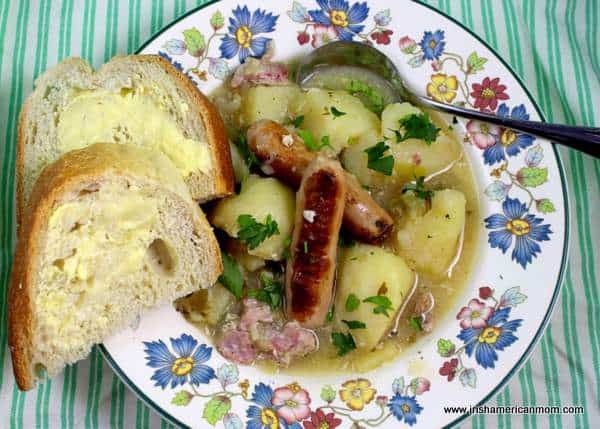 And on the occasions I was treated to a lovely bowl of coddle by my great aunt or cousins, I devoured it, licked my lips and always asked for seconds. 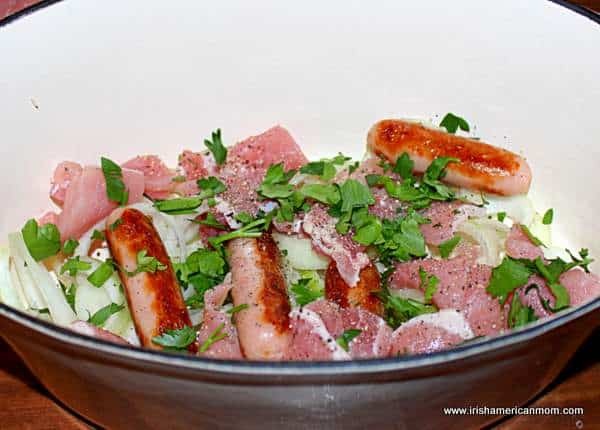 Irish sausages, often called bangers, are key to a good coddle. Their flavor is far more subtle and less spicy than an American sausage, a bratwurst or a kielbasa. This is true Dublin cooking. 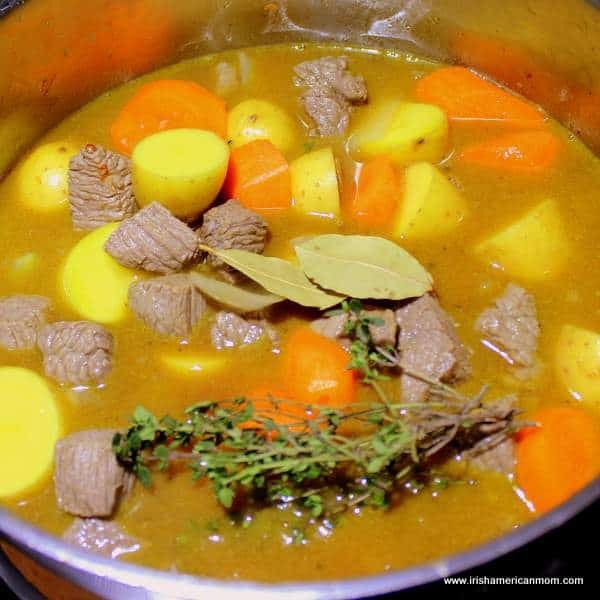 You can’t beat the healing properties of a good stew when feeling under the weather, and for Dubliners in the middle of flu season, coddle is their stew of choice when on the mend. 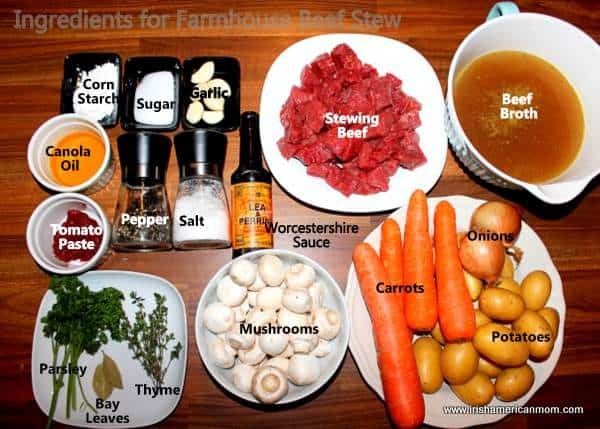 I call this Dublin stew, not Irish stew. Sausages and rashers would have been readily available in Dublin in years gone by. 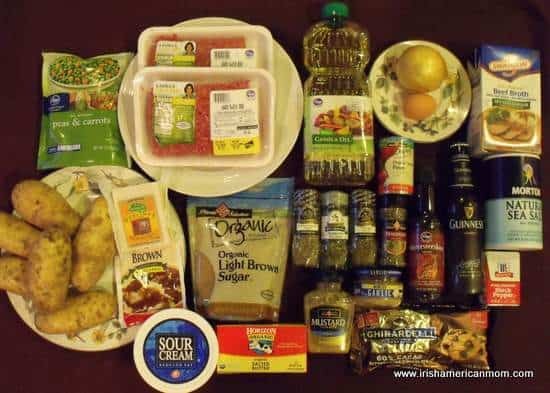 Real Irish stew calls for mutton or lamb and this would have been more expensive in the city than in rural areas. 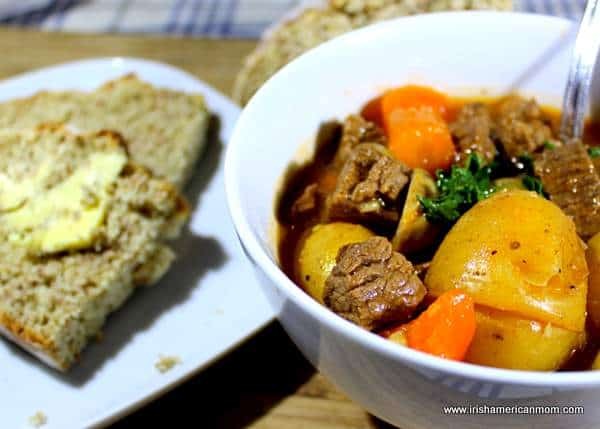 As a result, lamb stew featured more often on the menu in Irish farmhouses than in the city years ago. 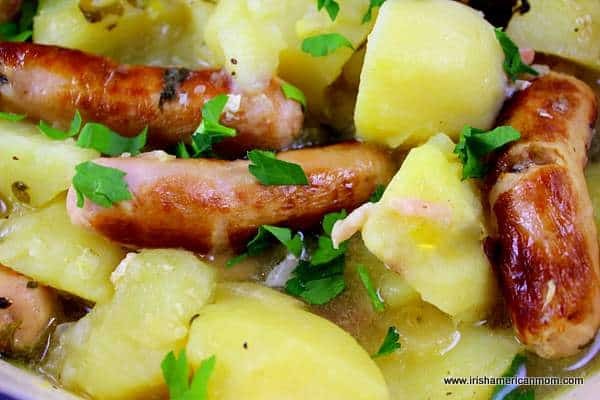 Back then sausages were inexpensive and when combined with plenty of potatoes and onions it was easy to feed a big family of children (or ”a big slue of childer’ as might be said in Dublin) with a simple pot of Dublin coddle. 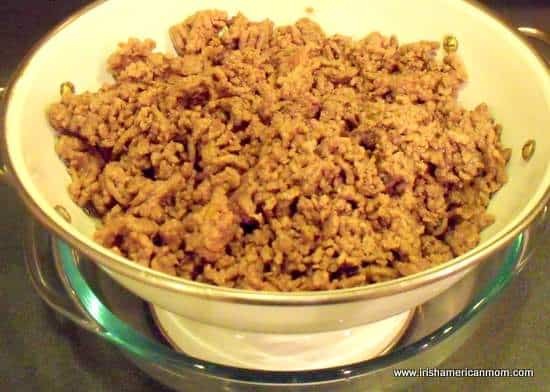 This is a hearty dish with humble origins. 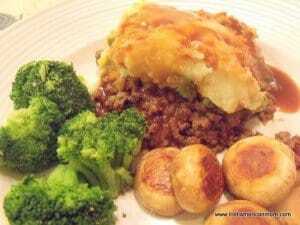 Everyday cooking at its best, and comfort food if you hail from Dublin. Coddle lovers have their own tips and tricks, and do’s and don’ts for making this beloved dish. 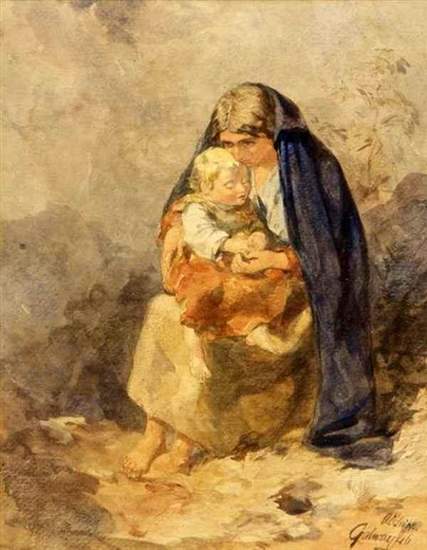 Everyone’s rules are based upon how their mammy and their mammy’s mammy before them made coddle. One of the big questions is whether the sausages should be browned before stewing them. Some coddle eaters would be aghast at the idea of first browning the sausages in a pan before making coddle. 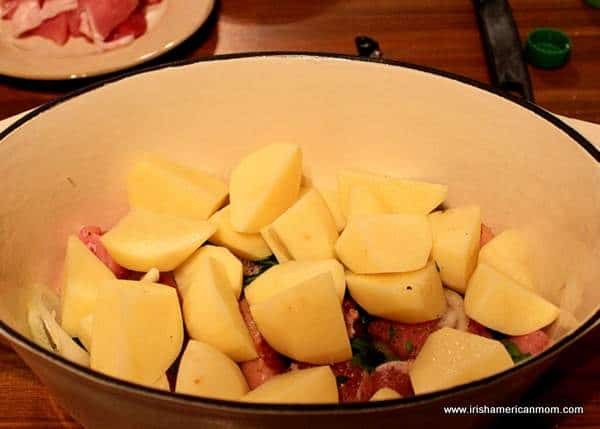 In fact, if you ask a Dubliner how to make coddle, you will probably be told to throw sausages, rashers, onions, and potatoes into a pot, sprinkle them with pepper and half cover them with water. Boil it up, then simmer it for two hours until the spuds are tender. 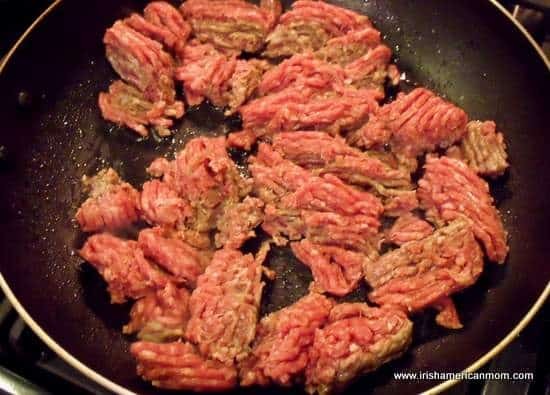 Now this method works well to make sure the sausages and rashers are cooked through, but there’s something about pale, anemic looking sausages that I don’t find appetizing. My trick is to brown the outside of the sausages before adding them to the stew to make the color palate of the final product more eye appealing. 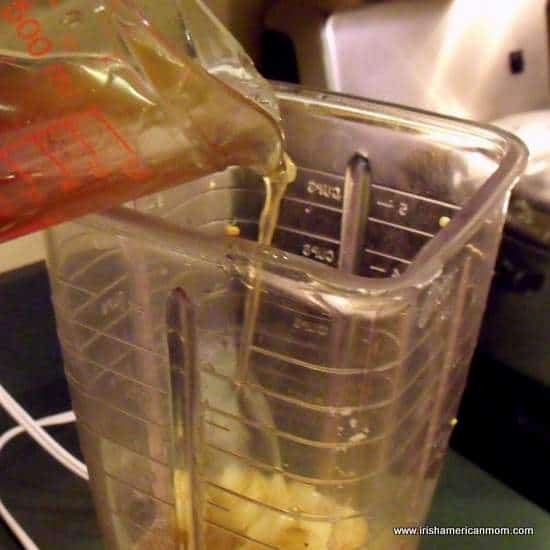 Another tip is not to bother adding salt. 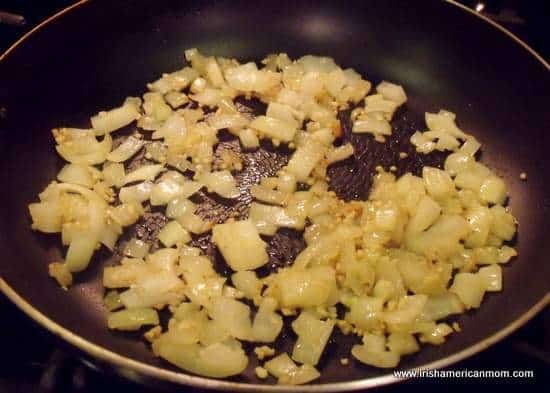 The rashers are plenty salty without overdosing on Ireland’s favorite seasoning. Plenty pepper is needed to give this stew a little kick. 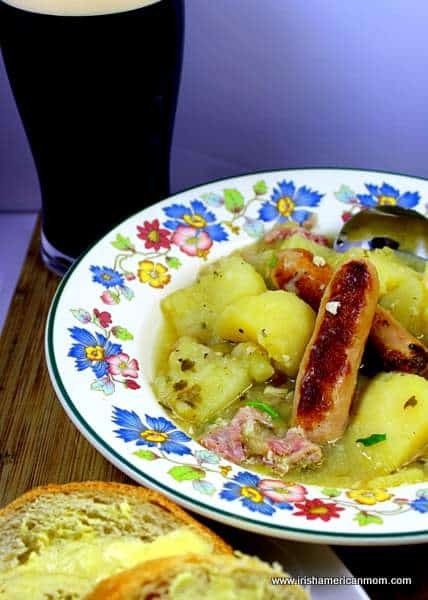 Also, traditional coddle was usually made with water. I like the added depth of flavor chicken stock gives to the dish. 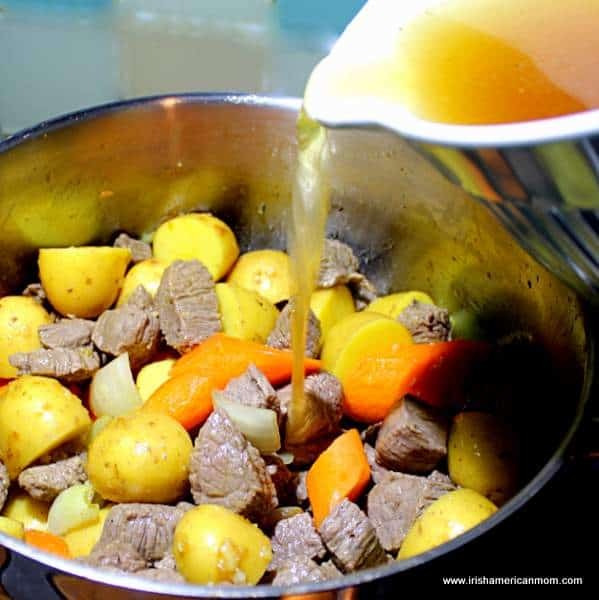 Beef stock works well too, but if you’re a purist, then stick to plain old water for your coddle. 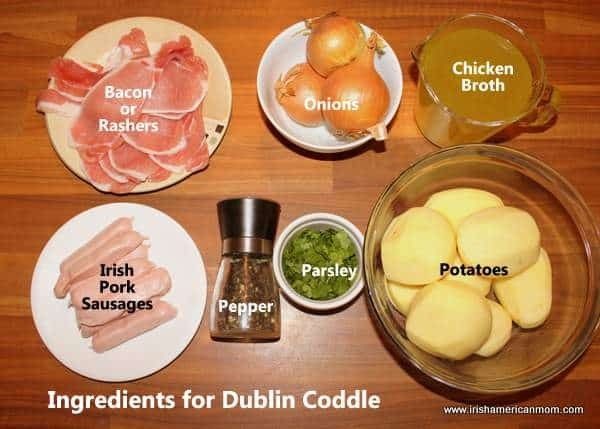 And so without further ado, here’s my recipe and step-by-step photo tutorial for good, old Dublin coddle. 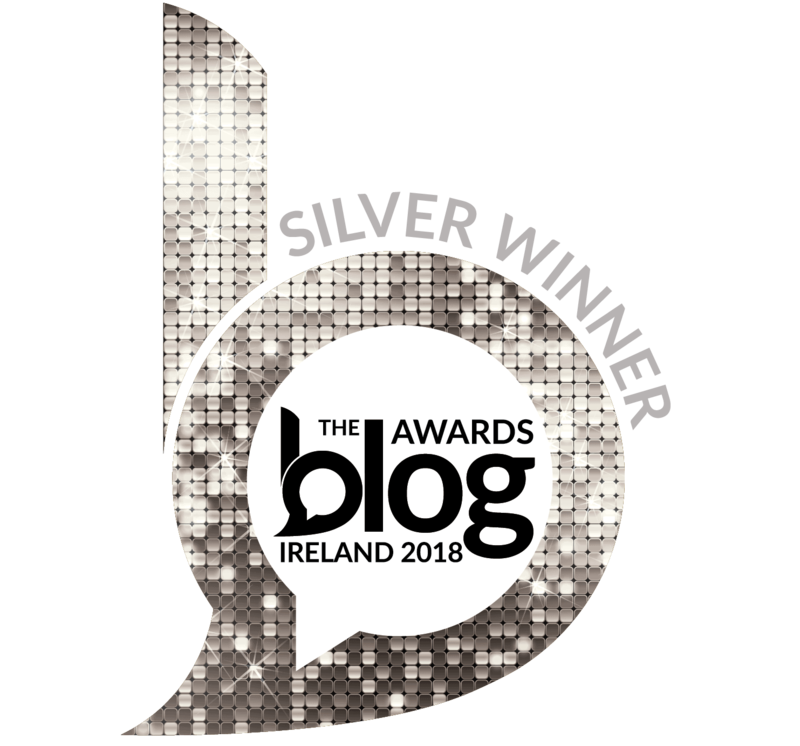 A quick disclosure note (legally required for affiliate links): The links below for the Food Ireland website are affiliate links, which means I receive a commission if you choose to make purchases using these links. 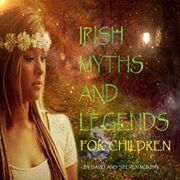 Thanks in advance if you do utilize these links for your Irish shopping. 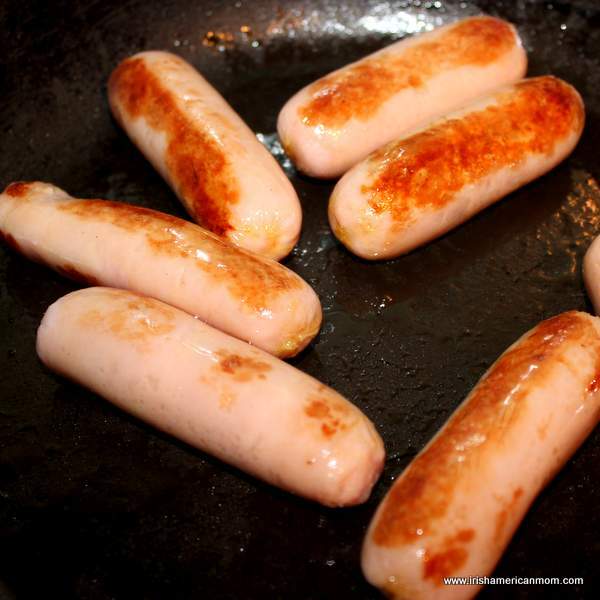 I always start by browning the sausages in a hot pan with a tiny little bit of oil. I like a brown tinge on my sausages, rather than a pale white sausage in coddle. 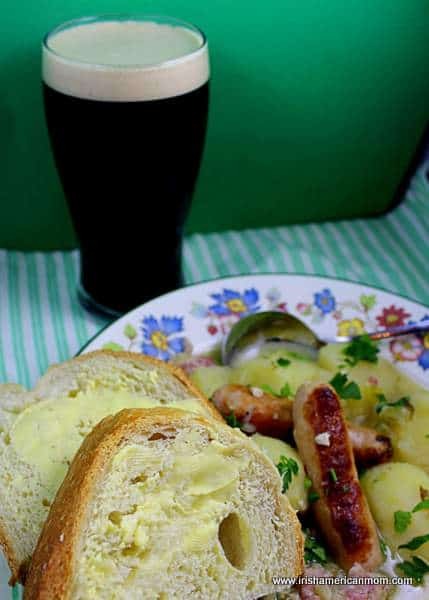 Irish pork sausages are available from the Food Ireland website, or for anyone in Louisville you can get them at Molly’s Celtic Centre beside Molly Malone’s Pub on Baxter Avenue. If you prefer you can brown the sausages under a hot broiler (or grill, as we would say in Ireland. A quick vocabulary note – a grill is a barbecue and a broiler is a grill on the other side of the Atlantic). Now be careful not to overcook the sausages. Just a quick minute or two on all sides to brown the outer layer. 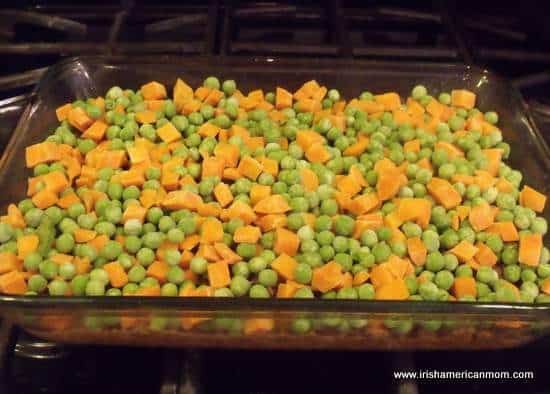 If you cook them through they’ll be a little dry in the stew. 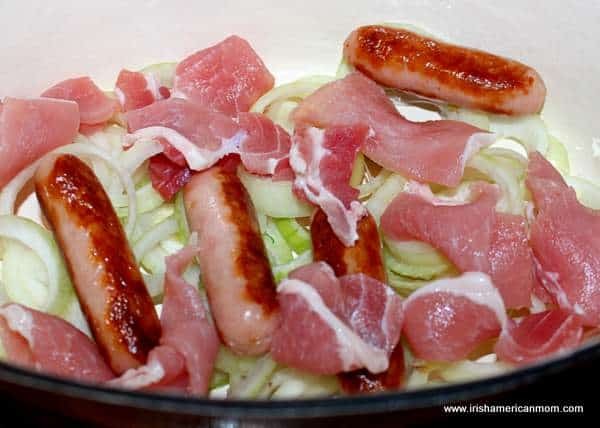 Put the sausages to the side as you prepare the veggies and bacon for the coddle. 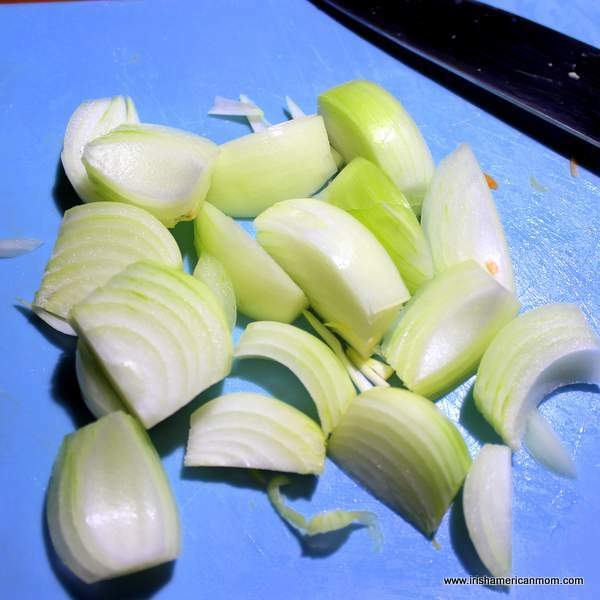 Peel and slice the onions, separating the pieces into rings. 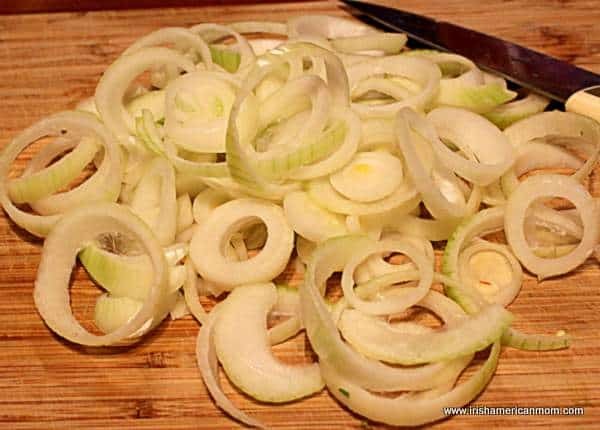 Some people like to cut the onions in wedges, but my preference is for onion rings. 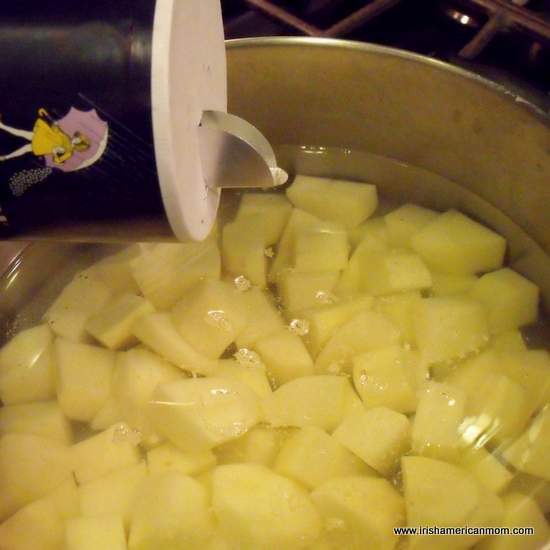 Peel the potatoes and cut them into one inch wedges. 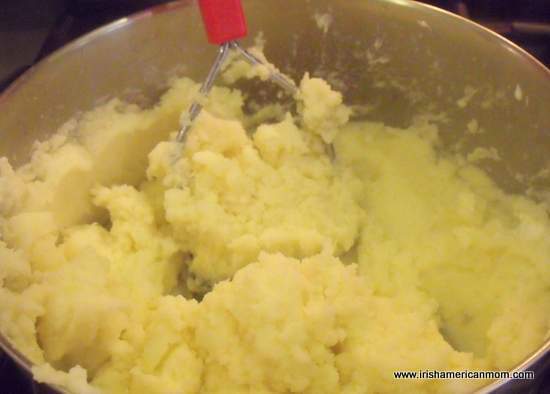 Some coddle cooks slice the potatoes into rings but I prefer chunkier potatoes in my stews. 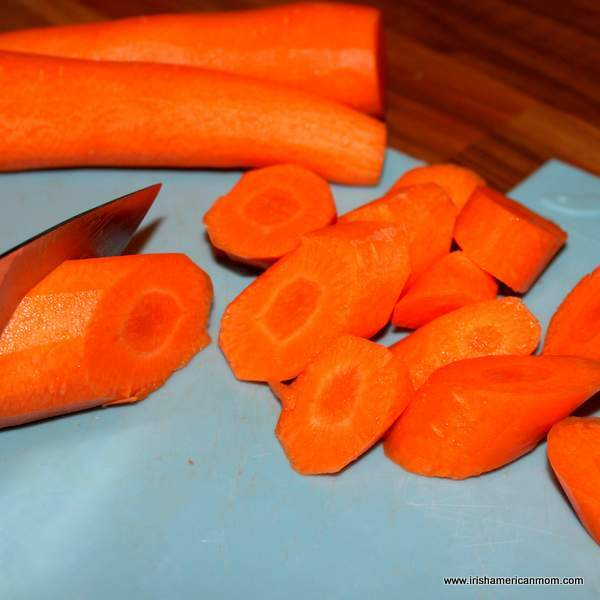 Now prepare the bacon or rashers by slicing them into one inch pieces. Feel free to remove the rinds, but I like the flavor the bacon fat adds to the coddle. 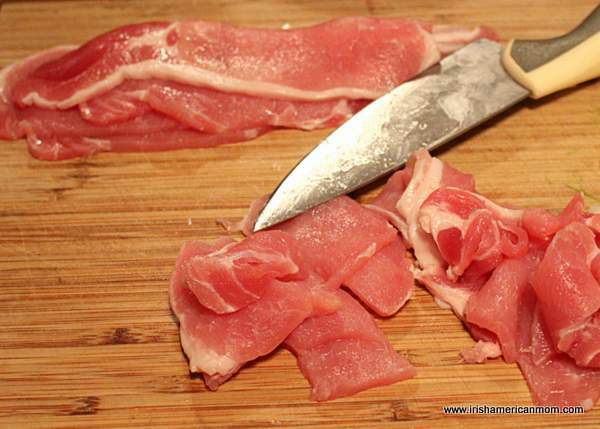 Canadian bacon is a good substitute for Irish rashers, but if you like the taste of real Irish rashers they are available from the Food Ireland website. Now it’s time to layer the ingredients. 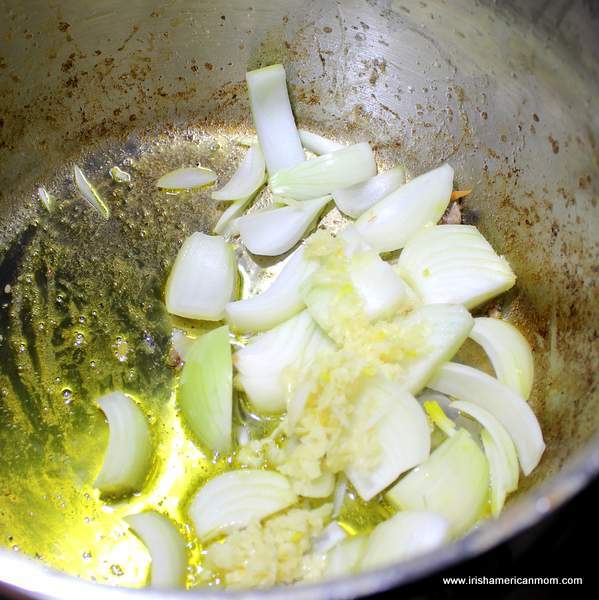 Start by putting half the onions at the bottom of a large dutch oven or stew pot. Next add four of the sausages and half the bacon. 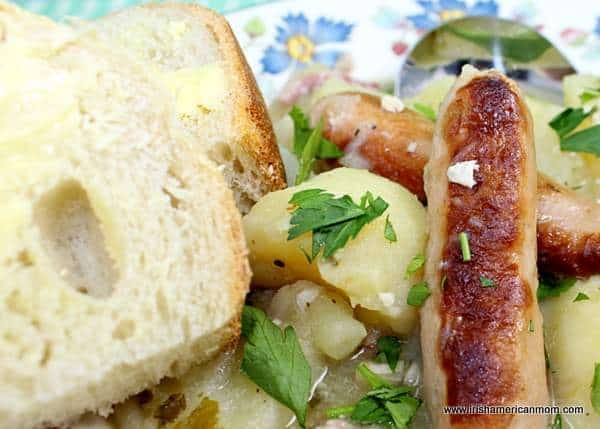 You can cut the sausages into one inch pieces, but coddle purists keep the sausages whole. Now add half the parsley and grind some black pepper on top. Layer half the potatoes on top of the onions and meats. Now repeat the layering again, starting with onions, then sausages and bacon, parsley and pepper, and finally potatoes. Add the stock or water and bring to a boil. 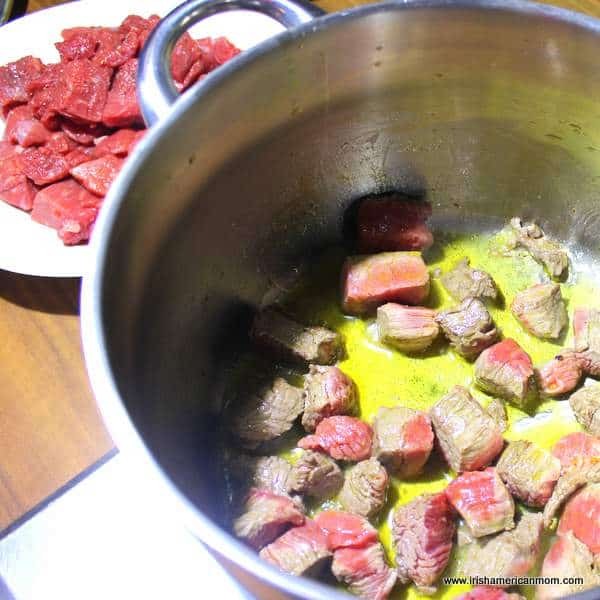 Once the liquid boils lower the heat and simmer for 2 hours on the stove top. Alternatively, you can transfer the oven proof dutch oven to a pre-heated 300 degree Fahrenheit oven and let it cook slowly for 2 hours. 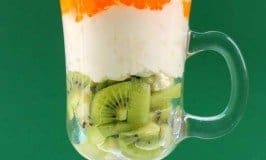 The liquid should not completely cover the ingredients but should be about an inch below the top. 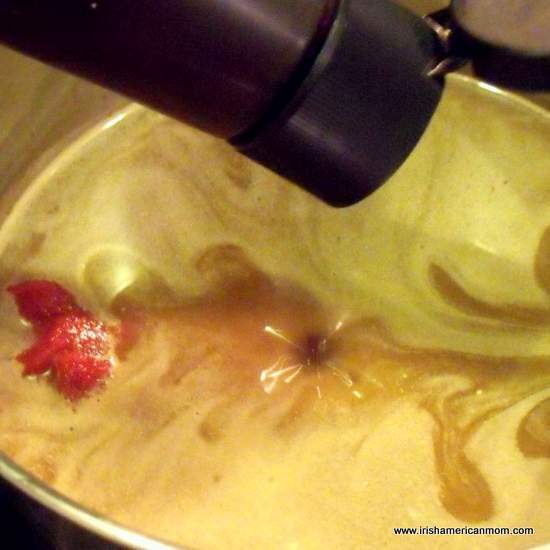 If the liquid reduces too much during cooking top it off with a little more hot broth or boiling water. Coddle is cooked low and slow. 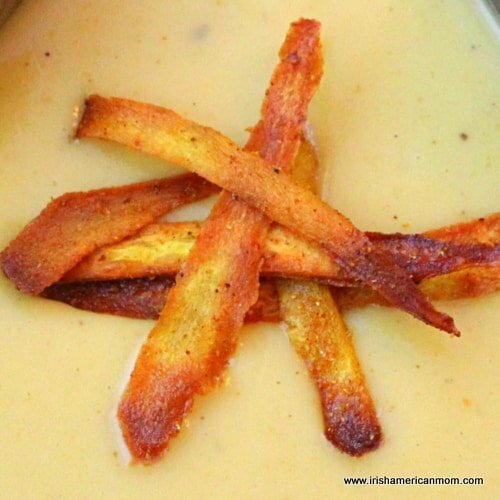 A gently simmer is all it takes for all these delicious flavors to meld together. Season as you like, but the rashers are plenty salty in my book. 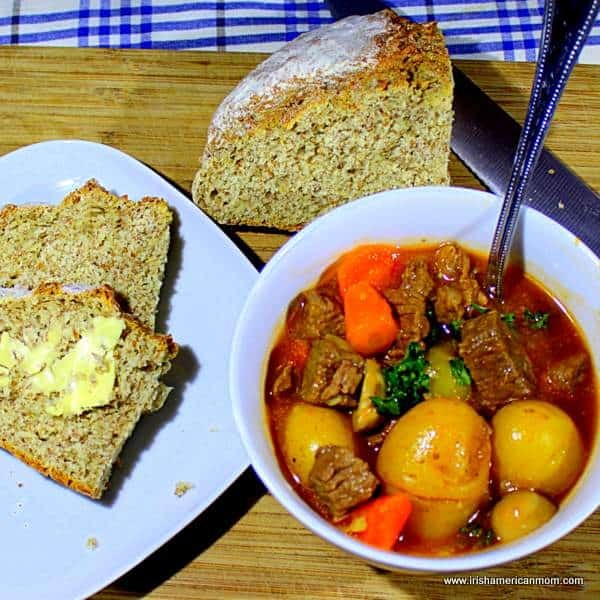 Coddle is often eaten with a cup of tea and soda bread. I went for a pint of Guinness and buttered, crusty bread. 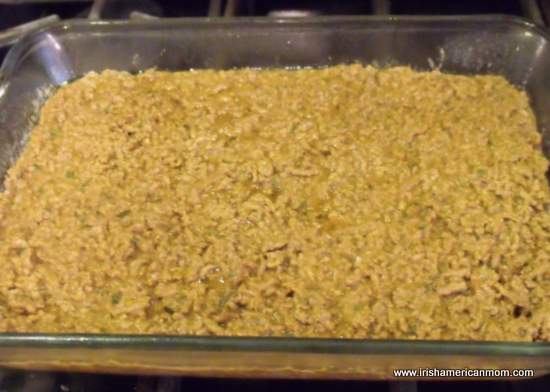 This recipe should be plenty for four good helpings. 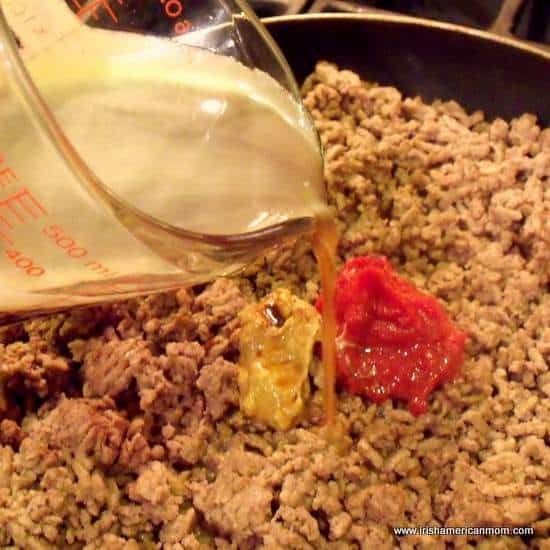 Heat a teaspoon of oil in a hot skillet. Brown the sausages on all sides. Do not cook through, Set aside. 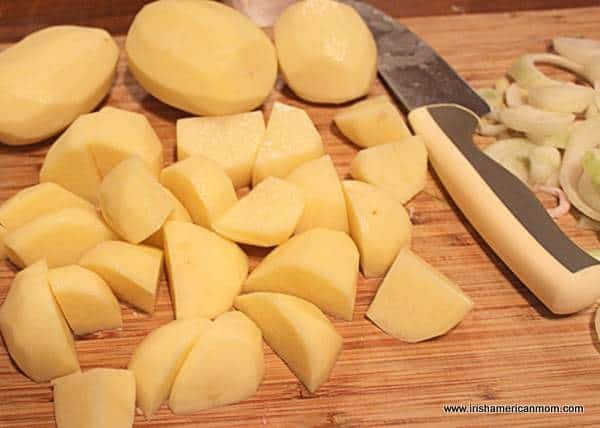 Peel and cut the potatoes into one inch cubes. Slice the bacon into one inch pieces. Layer the ingredients in a dutch oven starting with half the onions, four sausages and half the bacon. 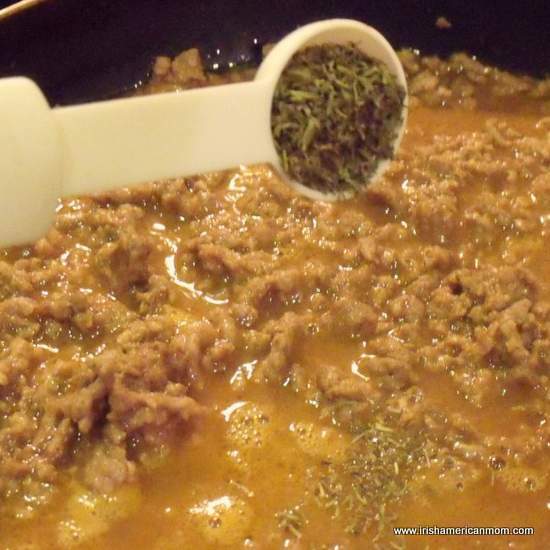 Season with pepper and sprinkle half the parsley over the onions and meat. 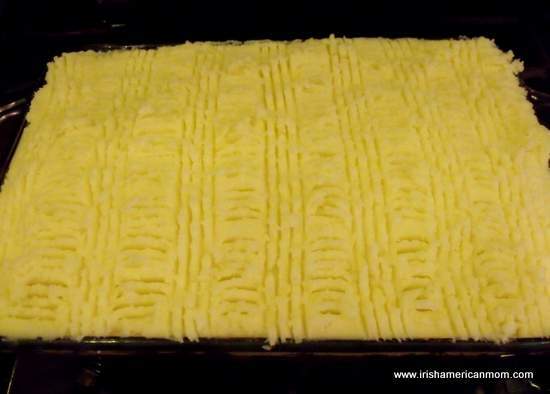 Next add a layer of half the potatoes. Repeat all the layers onion, sausage, bacon, parsley, ground pepper and potatoes. Add the stock. It should come within one inch of the top of the ingredients but not cover them. Place the dutch oven over a burner on a high heat and bring to a boil. 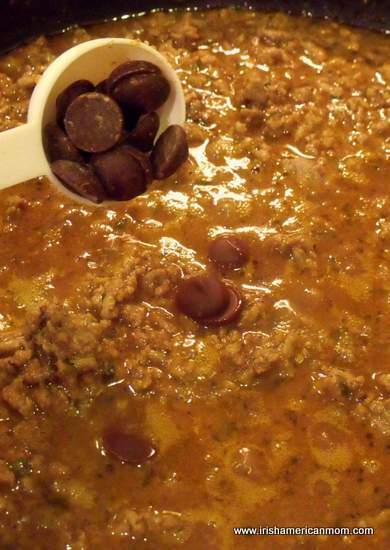 Reduce the heat to low and simmer for 2 hours. 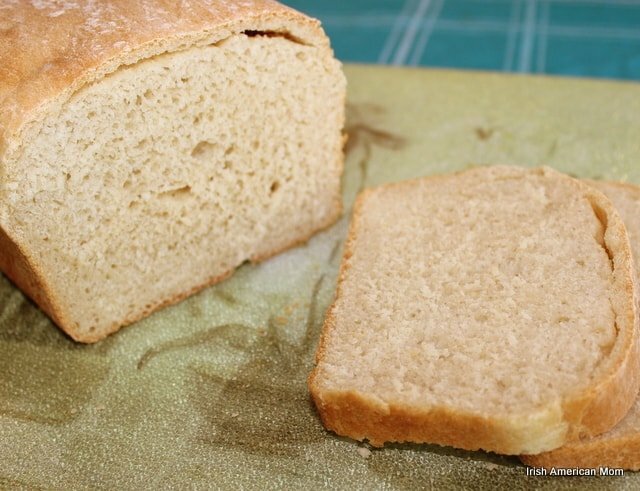 Serve in a bowl with crusty bread on the side. In Ireland, many like to add some brown sauce over the top of their coddle. That’s YR sauce, Chef sauce or HP sauce is the English version. I didn’t have any on hand for my photo shoot. 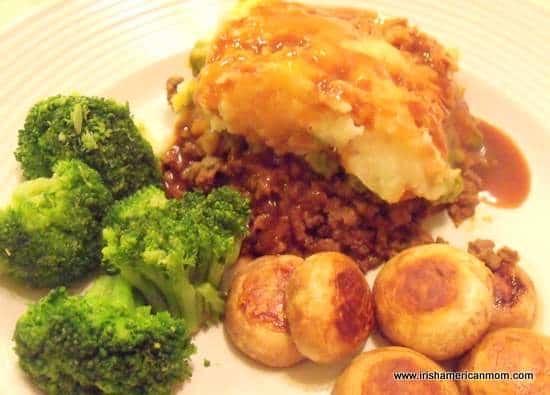 But a discussion of Ireland’s favorite condiment, brown sauce, is a good topic for a post on another day. Here’s short video showing how I made my coddle. Anyways, there you have it. 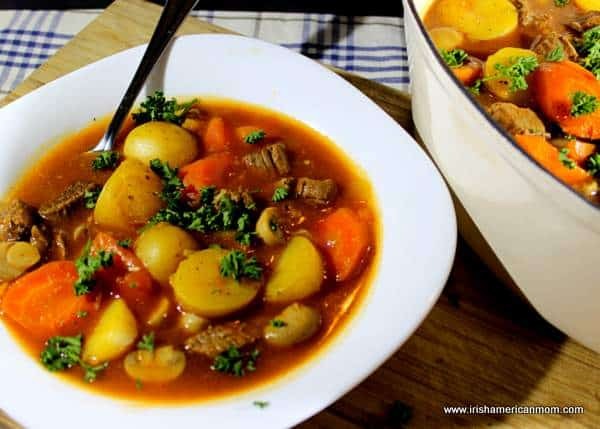 My version of Dublin Coddle – a wholesome, hearty, everyday stew enjoyed for centuries by Dubliners.